Ph.D. (Biochemistry) from central drug research institute CDRI, Lucknow. Biochemistry, Immunology, Therapeutic drug monitoring & Liquid Chromatography – Mass spectrometry. Dr Abha Gupta obtains her Doctorate degree in 1984 from CDRI, Lucknow and proceeded to Hamburg, Germany to work on prestigious WHO- scientist position. In India she has the honors of working in various prestigious institutes, such as AIIMS, Batra Hospital & Apollo Hospital New Delhi. She has received many National & International honors in the field of Clinical chemistry. She holds honorary Membership of association of American Clinical Chemistry (AACC), Japanese Society of Clinical Chemistry, Malasian society, and Asia pacific surgeries, Australian Society, ACBI, and Indian Immunology Society etc. 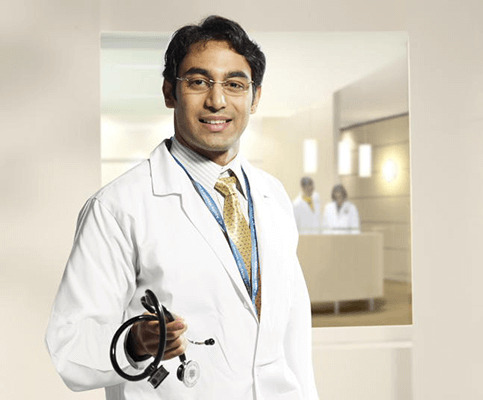 Dr. Gupta has delivered unlimited lectures at various National & International conferences. She has also chaired and motivated scientific session. To her credit, she has many publications in various national & international journals. Present Station: Dr, Gupta is Sr. Consultant & heading the dept. of Biochemistry at Indraprastha Apollo Hospital, New Delhi. Since it’s in inception in 1995, She has been instrumental in setting up state of the art fourth generation Biochemistry lab with excellent qualities contract & quality assurance in place. She also got NABL accreditation as per 15189 standards for the laboratory by her untiring effort.